Serving great coffee to people from all walks of life. That was the dream for The Coffee Gondola founders, Josie and Tom, but with one very unique difference: they planned to convert an old ski gondola and provide speciality coffee where nobody else could - halfway up a mountain. 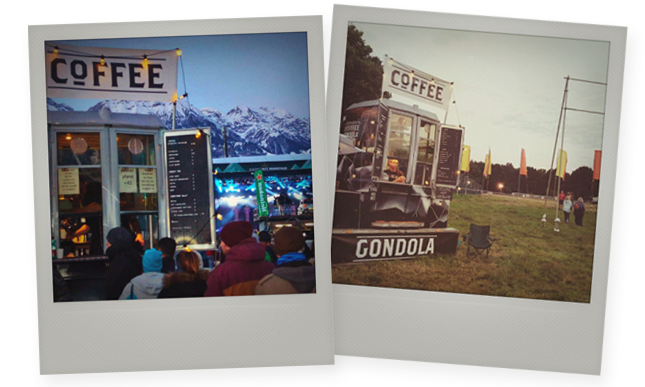 After facing the challenge of fitting out the old Whistler Village ski gondola (which is more use to housing people than an espresso machine), towing the mobile coffee gondola across Europe through heavy snow, oh, and generally keeping warm, the team realised their dream at the Art & Style Festival in Innsbruck, Austria. But, it turns out, that a ski gondola is not just for Christmas, and The Coffee Gondola has been a big hit in the summer months too. 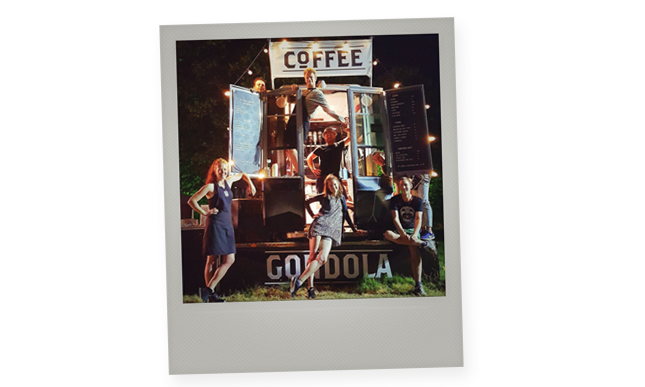 "What has surprised us is how popular The Coffee Gondola has been at the summer festivals," continues Josie. "People are attracted to the unusual concept, its striking silver façade and, of course, the speciality coffee blends and roasts on offer." “Having been chefs in our previous lives, we appreciate the quality of products and believe that great taste is directly linked to its sourcing, which is why we work with Clifton Coffee Roasters for coffee and Cakesmiths for our sweets menu. We don’t have the time – or room – to bake and, in Cakesmiths, we found a team of bakers who aren't afraid to experiment with flavours, creating home-baked quality cakes that complement our artisan offering perfectly." "It's a hard choice so we've gone for one each. It has to be the Peach and Rosemary Slice - which sold out in no time at a recent festival - and Rocky Reward which is fantastic festival fuel!" 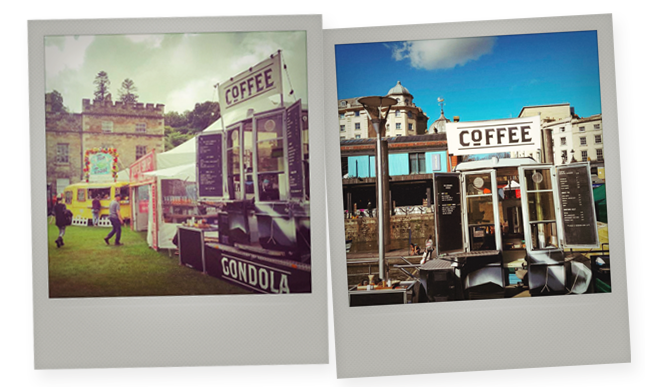 Check out The Coffee Gondola's website.